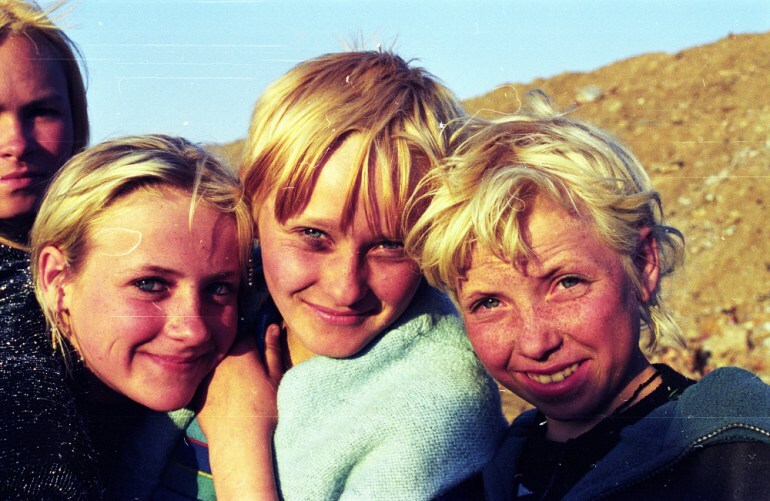 A shot from the film "Something better to come", directed by Hanna Polak, photo: Danish Documentary. Out of eleven films presented to the Dutch audience, 4 will fight for prizes in the event’s contest sections. The rest are assigned to the non-competitive thematic sections. The Polish contenders in the main competition of the IDFA are Agnieszka Zwiefka’s The Queen of Silence and Hanna Polak’s Something Better to Come (Marzenie Julii). The first tells the story of a 10-year-old deaf-mute Roma girl, Denisa, who expresses her emotions through dance inspired by Bollywood films. SOMETHING BETTER TO COME | Trailer from Hanna Polak on Vimeo. Something Better to Come is also about a girl growing up in difficult conditions. Julia lives in a garbage dump near Moscow, one of the biggest in Europe. The film was directed by Hanna Polak, author of The Children of Leningradsky documentary, who graduated from the cinematography department of the Gerasimov Institute of Cinematography in Moscow. She has years of experience helping Russian street children and, for several years, she’s been working on her film Something Better to Come by accompanying its hero at different periods of her life. Hanna Polak’s film will also take part in the Doc U Competition, aimed at the youngest documentary fans (the jury consists of young people aged 15-18). Wanda Kościa’s film My Friend the Enemy tells the story of Poles who survived the massacre at the hands of the Ukrainian nationalists of the UPA (Ukrainian Insurgent Army) in 1943. 70 years after those events, the filmmakers and the heroes of their film travel to the former homes of the latter. The Invisible by Zofia Pręgowska, a student of Warsaw Film School, is a candidate for a prize in the Student Documentary Contest. It’s a film about a lonely, almost completely blind 90-year-old woman who writes poems. The non-competitive section Panorama will feature Starting Point by Michał Szcześniak, telling the story of a girl who takes on a job in a nursing home while serving a prison sentence for murder. EFEKT DOMINA - TRAILER from OtterFilms on Vimeo. As part of the Bests of Fests section, which features films already awarded at other important film festivals, the Dutch audience will be presented with the Domino Effect by Elwira Niewiera and Piotr Rosołowski – the story of the difficult conjugal relationship between an Abkhazian sport minister and a Russian opera singer whose private conflicts reflect the geopolitical problems of the region. Polish films are also in the Paradocs section, in which films from the fringes of documentary are presented. The Amsterdam audience will see two films by Marcel Łoziński – How to Live from 1977, and The Maturity Exam from 1979. The third Polish film in the Paradocs section is the Polish-German production RekonGrodek directed by Margherita Malerba and Devin Horan. The last Polish films on the IDFA's programme are Penderecki. Paths Through the Labyrinth by Anna Schmidt and The Orchestra’s Secret by Katarzyna Kasica. The Amsterdam Documentary Film Festival IDFA is the biggest and one of the most important documentary festivals in the world. Each year, its cinemas are visited by more than 100,000 viewers, as well as representatives of the most important film societies from around the world. This year’s edition of IDFA, which is the 27th, will take place between 19th and 30th November. For more information, please visit the festival’s website.